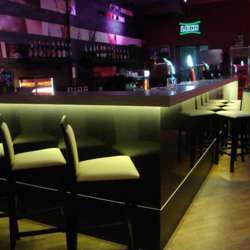 Please join us in the Prominent Lounge, a happening club with a large dancefloor, bowling lanes, pool/billiards tables and a great atmosphere. We will have a room to ourselves. It is located across from the Dworzec Towarowy tram stop, not far from Nowy Kleparz and Galeria Krakowska. I attached some photos to help you find it.